One of the odder features of Capt. 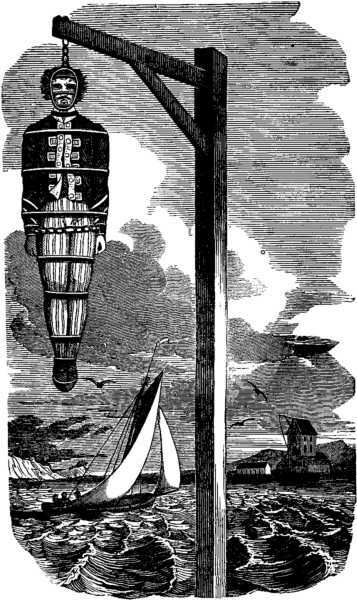 Charles Johnson’s A General History of the Robberies and Murders of the Most Notorious Pyrates is that when it was expanded to two volumes in 1728, Johnson (whoever he was) included a chapter on what appears to be an entirely fictional pirate, Captain Misson. Even more confusing, Johnson has Capt. Misson meet with the real pirate, Thomas Tew, whom you might remember from class sailed with Henry Every on his last voyage. 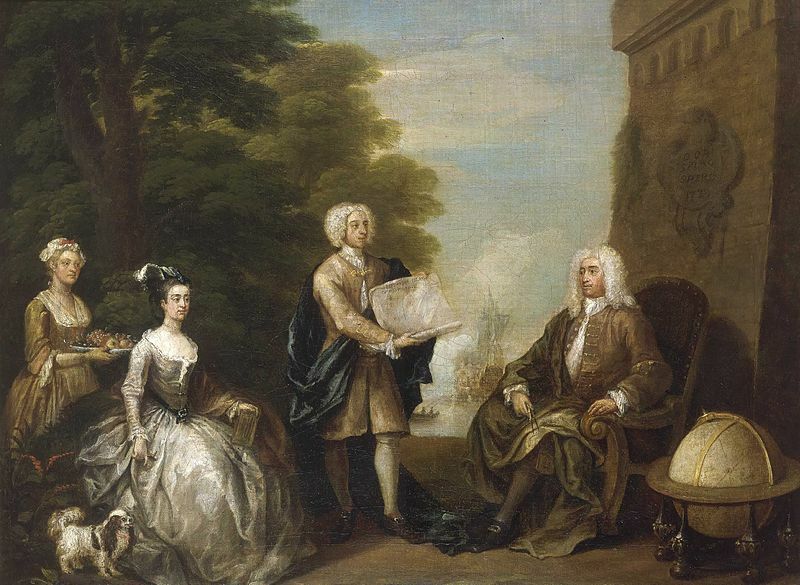 And to complicate matters further, Misson’s story contains internal references dating it to 1707, yet Tew died in 1695! What’s going on here? Strange though it may seem, Johnson is actually working within an established story telling tradition, that of the fanciful utopia. 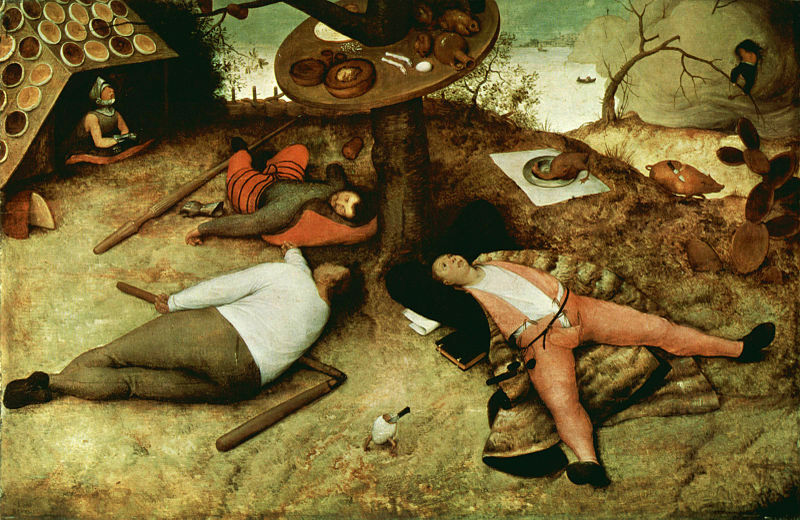 Medieval peasants had their Cockaigne, a land not of hardship but plenty, with peasants in charge instead of nobility, and freedom from sexual restrictions. It was the normal world turned topsy-turvy. The discovery of the New World was a shock to Europeans. They thought they had known everything! However, once reports began trickling back from the New World, Europeans were intrigued by how different society was there. To them, it seemed that the Native Americans lived in a paradise, quite different from Europe. And so, combining elements of the New World and Cockaigne, European writers began developing stories about imaginary realms in far-off places where the normal (European) social order was inverted. Probably the best-known examples are the fanciful realms of Jonathan Swift’s Gulliver’s Travels (1726) and the isolated native kingdom visited by Candide in Voltaire’s 1759 eponymous story. This is the purpose of Johnson’s chapter on the fictional Captain Misson. 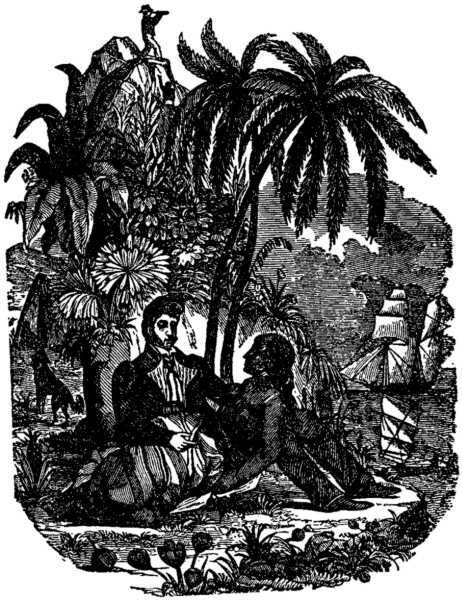 Johnson drew on the legends about Henry Every’s mythical Madagascar kingdom, and the reports he had about how the pirates treated each other as equals, to have Misson found a fanciful pirate utopia on Madagascar. This colony of Libertalia is governed by reason and kindness. It has no religion, because a priest has converted all the pirates to skepticism. Misson and his followers recognize no authority other than their own, accepting no king, though they vote to make Misson their leader for a time. Johnson makes Libertalia sound like paradise, a paradise that criticizes European society by inverting its rules. Although it’s a fiction, Johnson tried to anchor Libertalia in reality by providing many plausible details about the life of Captain Misson and his career in the French Navy before he becomes a champion of liberty. And that is no doubt why he connected Misson to Tew. Tew was a known historical figure. If Tew interacted with Misson, Misson had to be real, too! Paradise may not last, but it can sure be fun. It has to be said in Johnson’s favor that the pirates and natives treat each other as equals. Yet the pirate utopia on Madagascar was a pipe dream, nothing more. Johnson has Misson die, and Libertalia fail, as his way of ending the fantasy. And in reality, when Captain Woodes Rogers (of whom we shall hear more) visited Madagascar in 1714, he found that the pirates there were a few wretched survivors, living at the sufferance of the native chiefs. This entry was posted in Pirates and tagged Captain Misson, Henry Avery, Henry Every, Libertalia, Madagascar, pirates, Thomas Tew, utopia on January 16, 2015 by Brian Bixby. 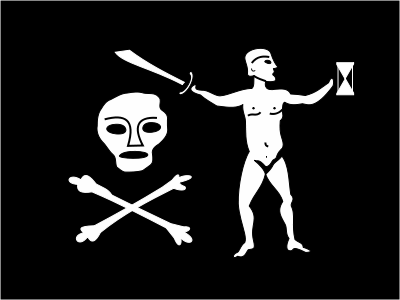 Since quite a few posts to come are going to be on piracy because I’m teaching a course on the subject starting in January, this seems like a good moment to discuss the basic history of piracy as we know it, or at least think we know it. He’s more than just a name for a brand of rum. 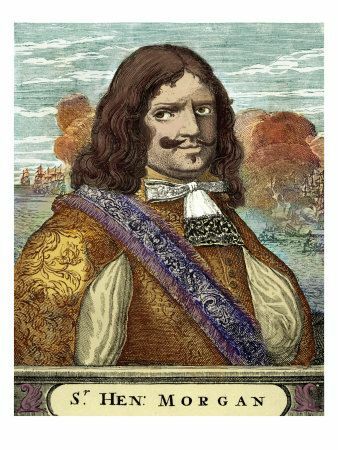 Henry Morgan was a successful buccaneer who was knighted for his efforts! Piracy is the act of robbing people at sea, in contravention to the law. It’s a slippery definition. Who decides what law applies on the high seas? What about governments who sponsor robbery on the high seas? And what about people we might call pirates who raid the land? These are all questions worth considering at length. 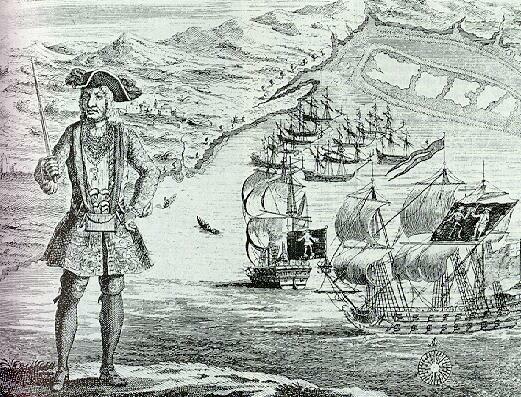 We call Captain Morgan a pirate, even though his most famous action was a raid by land on the city of Panama. But we don’t usually call Vikings pirates, though raiding shore towns was their most famous activity. The reasons why have a lot to do with history and culture, which I’ll be getting into in later posts. Piracy seems to have existed ever since people took to the seas in ships. 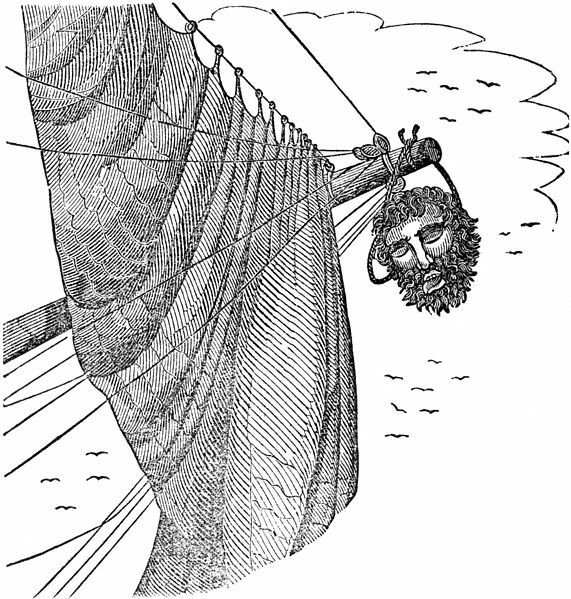 Pirates once captured Julius Caesar and held him for ransom. And pirates ply their trade today off the coast of Somalia and in the Straits of Malacca between the Indian and Pacific Oceans. What was so special about the Caribbean in those days? Piracy flourishes when there are valuable cargoes, weak enforcement of the law on the seas, plenty of trained sailors, and friendly ports. And the Caribbean had all of those things in between 1640 and 1730. All of the land surrounding the Caribbean fell under the control of Spain in the 16th century. And Spain exploited the New World to fill its treasuries. Silver, gold, and jewels, even silks and porcelain shipped across the Pacific from the Spanish colony in the Philippines, all flowed through the Caribbean on their way to Spain. And the Spanish colonists in the New World demanded luxuries and manufactures in return. Oh, there were rich pickings! Spain devoted its money to wars in Europe, and had little to spend guarding the Caribbean coasts. 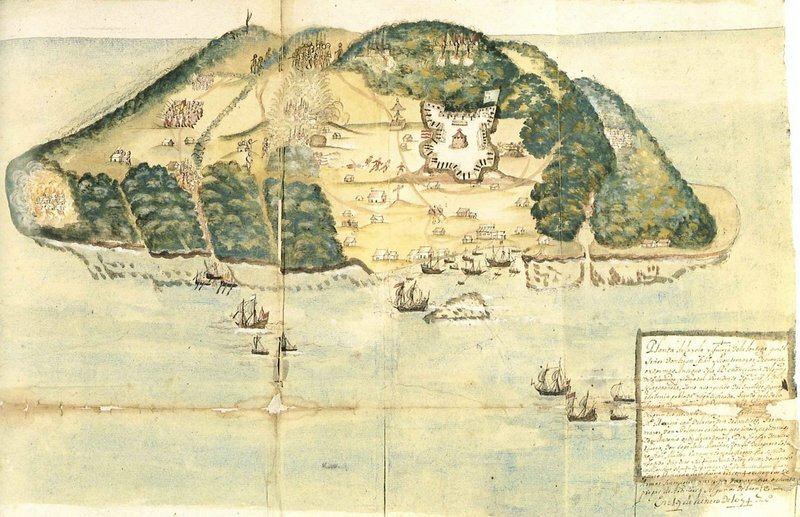 So interlopers settled on the islands: the Dutch on various small islands in the Lesser Antilles, the French on Tortuga and the adjacent parts of Hispaniola (today’s Haiti), and the English on Jamaica, seized in 1655. The didn’t find gold, but they did learn that sugar could be a profitable crop, when they could use slaves. So valuable cargoes of molasses, rum, and slaves flowed through the Caribbean as well. And there was no one to enforce the law on the waters of the Caribbean! 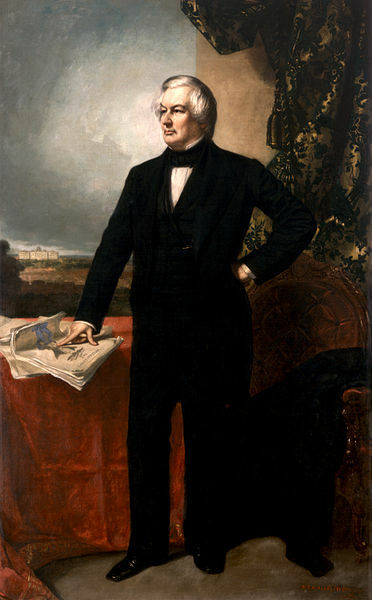 The other nations hadn’t just come to trade, but to make war on the Spanish and each other. Yet it was a secondary theater in the European wars of the era. Each power could devote only a fraction of its strength to the Caribbean, and they were more interested in fighting each other than in fighting pirates. With so many islands and ports, the Caribbean had many sailors, and they quickly realized the opportunities for plunder. Better yet, if they promised one power they would attack only its enemies, they could be sure of a friendly harbor among the islands controlled by that power. Captain Morgan is a good example. 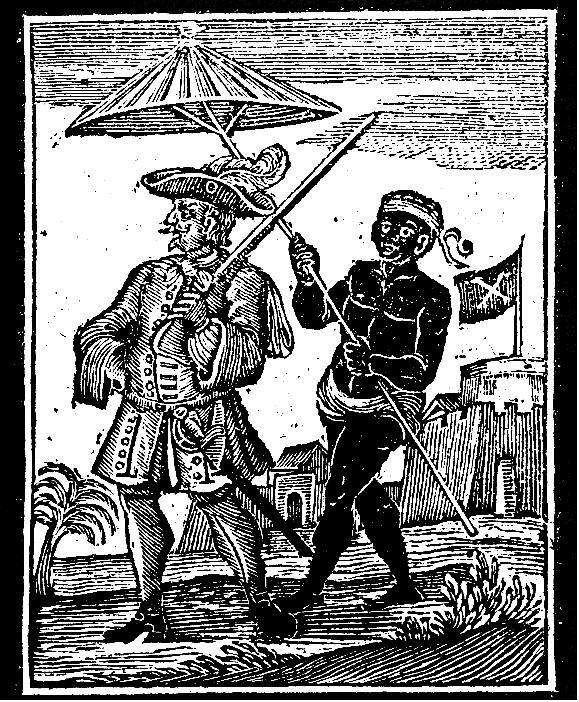 He based himself in Jamaica, and usually attacked only the enemies of England. So long as piracy paid better than honest commerce, and the European powers couldn’t devote much attention to the Caribbean, so long did piracy flourish. 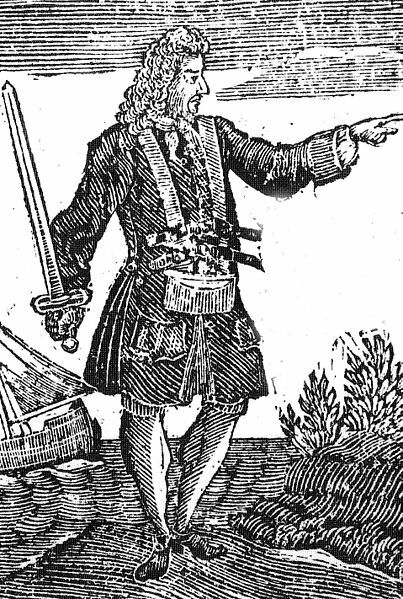 But by about 1690, neither of those conditions were true anymore, and the pirates either retired (as did Morgan) or headed to more congenial waters, as did Henry Every, who rose to fame operating in the Indian Ocean. And yet piracy flared up in the Caribbean once again after 1715. What happened is that 1715 marked the end of a long war, the War of the Spanish Succession. (The King of Spain had died in 1700 without an immediate heir, and the European powers fought over who would take his throne. Yeah, something like Game of Thrones, but for real.) 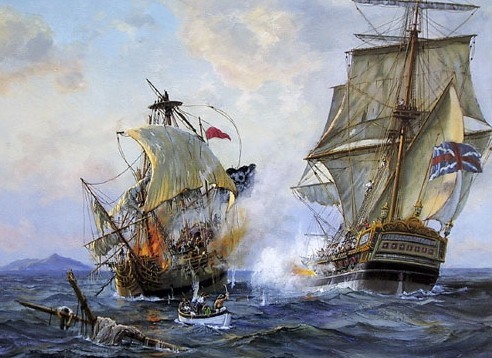 Many sailors had served as privateers, essentially pirates hired by one country and given license to attack only its enemies, rather like the more successful pirates before 1690. With the end of the war, they all became unemployed, and many decided to continue being pirates, though now without a license. However, conditions were not so propitious as before 1690. The European powers were less interested in tolerating piracy, and clamped down much faster. 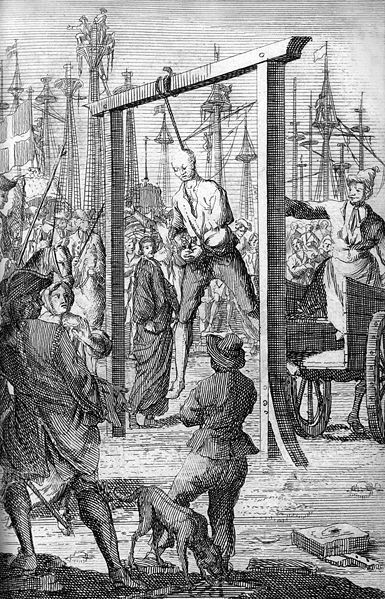 The English, for example, began hanging entire pirate crews when they captured them, instead of just the leaders. They even sent a major expedition to the Bahamas in 1718 to deprive the pirates of their base. The “Golden Age” turned out to be only a decade or so long. So why is it the “Golden Age of Piracy?” We can thank Captain Charles Johnson (whoever he really was) for that. In 1724, his book, A General History of the Robberies and Murders of the most notorious Pyrates was published and became a best seller. The book would quickly run through four editions and double in size as Johnson added more pirate biographies. 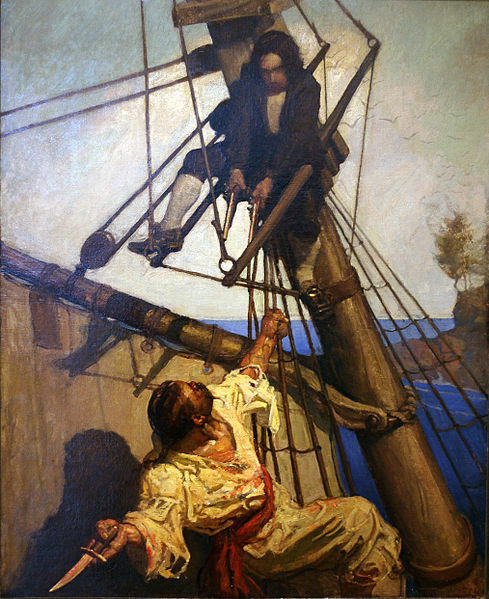 Johnson’s book became the source for pirate history and lore. Historians would plagiarize from it, writers would be inspired by it and borrow facts from it. Treasure Island? We know Robert Louis Stevenson read Johnson’s book; among other things, the name of the pirate Israel Hands is lifted directly from Johnson’s book. As for the earlier period, we also have a contemporary work, De Americaensche Zee-Rovers, by Alexander Oliver Exquemelin, published in 1678 and then translated into English in 1684 as The Buccaneers of America (or variations on that title). Between Exquemalin and Johnson, we have two engaging works about pirates that have fascinated readers and created much of the popular image of what it means to be a pirate. This entry was posted in Pirates and tagged Henry Every, Henry Morgan, history, piracy, pirates, Tortuga, Treasure Island, Woodes Rogers on December 16, 2014 by Brian Bixby.